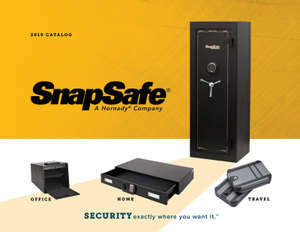 Fits all SnapSafe® metal Lock Box models as well as many other brands. Patented, space-saving cable receiver allows maximum storage space inside box. 4-ft length allows user to secure to stationary objects. Coated cable won’t mar surfaces and is rated for 1500 lbs. Purchase additional cables to ease transfer from one location to another.